Welcome to our exclusive collection of hotel barge cruises. For over 35 years, we have specialised in creating luxury barging holidays on some of the most beautiful and intimate waterways of Europe. On behalf of all our staff and crew across the fleet – Welcome Aboard! 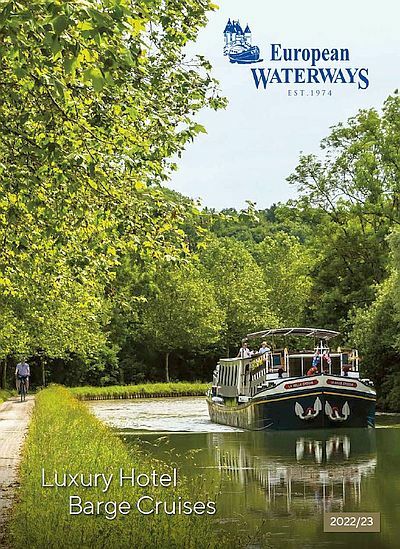 Whether you have only just discovered European Waterways or you are one of many passengers, who, having enjoyed our level of service, cuisine and varied delights once before, return to enjoy and explore another luxury barge cruise. Whether it is along the Caledonian Canal and Lochs of Scotland’s Great Glen, through Burgundy, Alsace and the Languedoc in France, to Venice and the Veneto in Italy, along the River Shannon in Ireland and the Royal River Thames in England, or Holland’s vibrant tulip fields, we have the cruise for you. We are the only luxury hotel barge company offering vacations in nine countries. Hotel barging will undoubtedly always remain a niche travel product as we carry just 6-20 clients and perhaps the most important decision you really need to make is whether to charter a whole hotel barge with a group of friends or family, or join other like minded individuals. We have been involved in all aspects of the hotel barge and travel industry for over 40 years including designing, building, owning and operating our fleet of luxury hotel barges as well as marketing them. We have gradually refined our barge cruise holidays into unique travel experiences, which are just waiting to be discovered. We begin by seeking out the finest classic working barges and then painstakingly transform them into luxury cruise barges, which we call floating country hotels, using the finest of hardwoods, solid brass fittings and nearly half a century of experience. Our team is experienced, multi-lingual and enthusiastic, and we are proud of the personal service we give to every client, from the time we are first contacted right through to the captain’s dinner and your farewell breakfast. We listen to our passengers’ comments first hand and by using these suggestions and our own expertise, we have painstakingly created our fleet of beautiful and comfortable, luxury hotel barges, specifically designed to show you, our passengers, the heart of Europe from the inside. The feeling of ‘gentle exploration’ which characterises our barge cruises, the warm atmosphere evident on all our vessels and the excellent service provided by our loyal English speaking crew, combine to ensure a perfect inland cruise. We appreciate that you have a vast choice of holiday destinations and we value your custom. If you decide you are looking for a relaxing European holiday with excellent food, fine wines, fascinating excursions and a more than a touch of pampering, then all that remains, is for you to choose which of our luxury barges appeals to you most and who to bring along!